Pandora’s Collective began in June 2002, with a suggestion by Sita Carboni to Bonnie Nish to begin a weekly writing group (The Kitsilano Writers). Bonnie offered her kitchen table and Sita offered to bring friends. They met once a week and became so inspired that three members; Bonnie Nish, Sita Carboni and Heather Neale, began facilitating poetry workshops in schools and libraries. Pandora’s Collective was born. While the group developed and changed, two constants remained; founders Bonnie Nish and Sita Carboni. 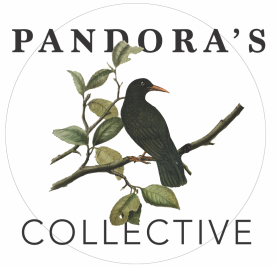 ​Pandora's Collective is now a Registered Charity (as of March 9, 2006) with many administrators, board members, hosts, workshop instructors, community members and volunteers. The Kitsilano Writers Group has metamorphosed into Word Whips Writing Series, one of the many literary events that Pandora's Collective offers on a monthly basis. To find out more visit our Literary Events page.